Grace and Matt are Davidson College sweethearts and the perfect match! This couple said "I do" in a beautiful, but chilly, lakeside ceremony under an arbor of sunflowers at the Davidson College Lake Campus. 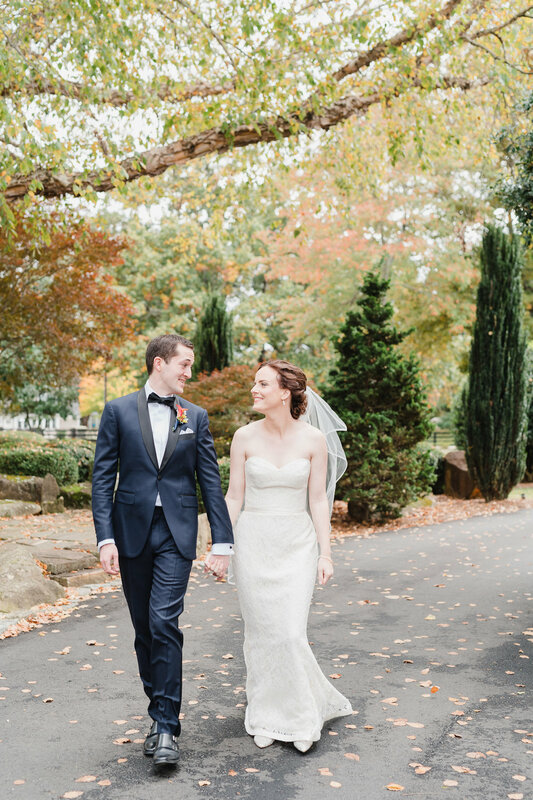 Grace was a timeless beauty in her lace wedding gown and sparkly Badgley Mischka flats, which we were all dying over! 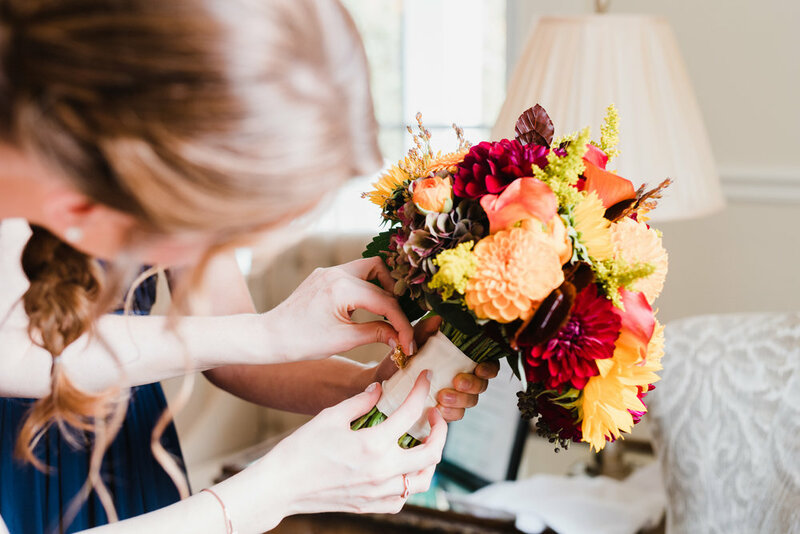 Both the bridesmaids and groomsmen wore navy, the perfect complement to the brightly colored bouquets and boutonnieres so beautifully created by Willow Branch Flowers. The ceremony began with one of the groomsmen playing a guitar solo that he wrote especially for the couple. It was the perfect way to set the tone for the wedding, and despite the cool winds, the ceremony was lovely as Grace and Matt said their vows. After the ceremony, guests were treated to a cocktail hour with delicious hors d'oeuvres and music by a talented jazz combo from Davidson College. After greeting all of their guests with a receiving line, Grace and Matt welcomed everyone to enjoy dinner catered by one of their favorite local Davidson restaurants. The night was full of love, dancing, and celebration of this amazing couple!! All the best to Grace and Matt, and I can't wait to see their story unfold as husband and wife! !